will you miss me when you’re gone? 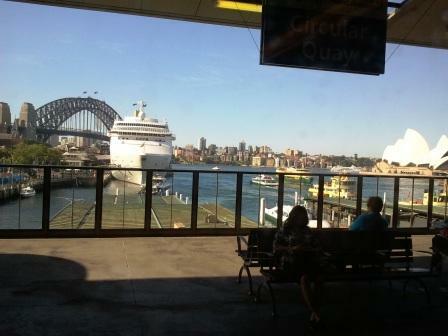 This is something I do, catch the train home from Circular Quay (Sydney, NSW, Australia) and see every week day. I wonder will I miss it when I’m gone? When I visit as a future tourist will I view it with the awe & excitement I now see in the faces of visitors to Sydney? This entry was posted in Sydney and tagged Australia, Circular Quay, my life, Sydney.